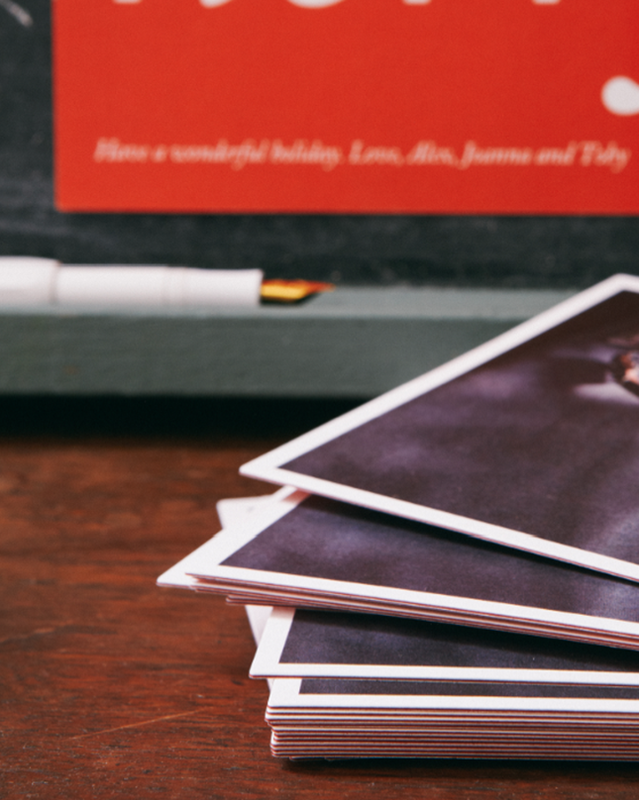 We of course turned to Pinhole Press for their lovely, simple designs. We ended up choosing one of the new Ultrathick Pinstripe Cards, which have a cool pinstripe on the sides of each card. 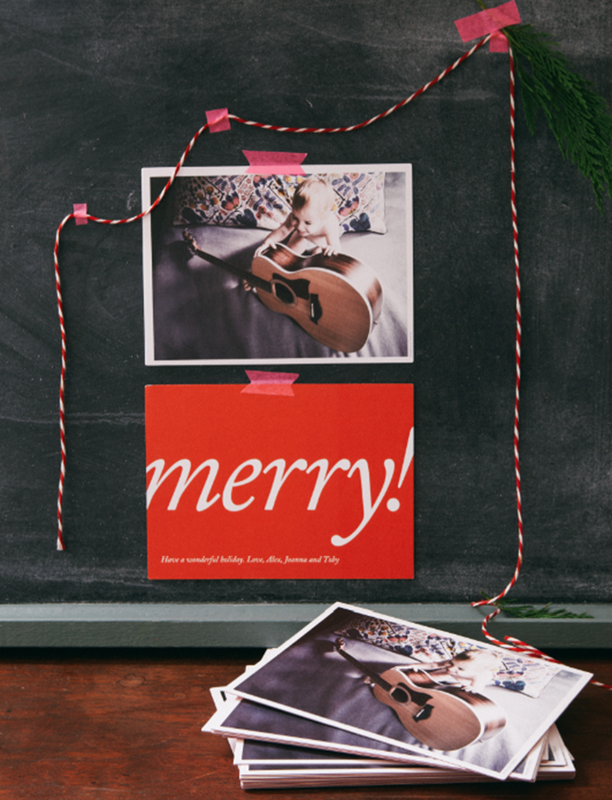 And I like how the back simply says “Merry!” They have tons of other great cards, too.